Produce safety certification and accreditation programs can help farms get organized, focused on food safety, and prepared for regulations and buyer requests. A number of options are available to growers who seek a produce safety certification or accreditation to maintain current markets or access new retail and wholesale buyers. This article can help you determine whether a certification or accreditation program is right for your farm. USDA GAP and GHP are voluntary audits that verify fruits and vegetables are produced, packed, handled, and stored in ways that minimize microbial food safety risks during production, harvest, and packing. GAP audits cover farm/greenhouse, harvest, packing house and cooler/cold storage, storage and distribution, transportation, and traceability. As of January 2019, VAAFM will no longer offer USDA GAP or GHP audits. While VAAFM will no longer conduct GAP audits, growers may still obtain a USDA GAP audit by contacting USDA. The same GAP audit will be conducted by USDA staff, likely based out of USDA’s Boston office. Growers who sell to Hannaford Supermarkets may find CAPS+ as an option for produce safety accreditation, as Hannaford’s now accepts CAPS+ accreditation in lieu of a GAP audit. Please continue reading under CAPS+ Audits to learn more about this option. Vermont growers who seek a Harmonized GAP audit can receive their audit for free in 2019 through USDA Harmonized GAP Assistance.1 Like USDA GAP audits, USDA Harmonized GAP audits verify that produce is grown, packed, handled and stored in ways that minimize food safety hazards. The Harmonized Standard is based on the Harmonization Initiative Harmonized Food Safety Standards and incorporates Food Safety Modernization Act (FSMA) Produce Safety Rule (PSR) requirements. GroupGAP allows farmers, food hubs, and marketing organizations to band together and pool resources to achieve USDA GAP certification as a group. The GroupGAP Audit Program makes it easier for growers and cooperatives to afford GAP certification as members of a group can fully leverage existing resources and share certification costs and develop and implement their own quality management systems and food safety programs. Find more information on USDA’s GroupGAP webpage. CAPS is a program of the Vermont Vegetable and Berry Growers Association (VVBGA). A practical approach to documenting on-farm practices that reduce food safety risks, CAPS uses the capsvt.org platform to help growers write produce safety plans, implement their plans, and upload evidence of implementation—including standard operating procedures and pictures. Growers receive CAPS accreditation after a successful peer review of these documents. In addition to the above-mentioned produce safety certification and accreditation programs, the Vermont Produce Program at the Vermont Agency of Agriculture offers On-Farm Readiness Reviews2 to help growers prepare for a Food Safety Modernization Act (FSMA) Produce Safety Rule inspection and identify areas for produce safety improvements. OFRRs are free, voluntary assessments of a farm to evaluate pre-harvest, harvest, and post-harvest conditions and practices and provide personalized recommendations in areas for improvement in produce safety practices. OFRRs are carried out in partnership between the Vermont Agency of Agriculture and University of Vermont Extension Produce Safety Team. 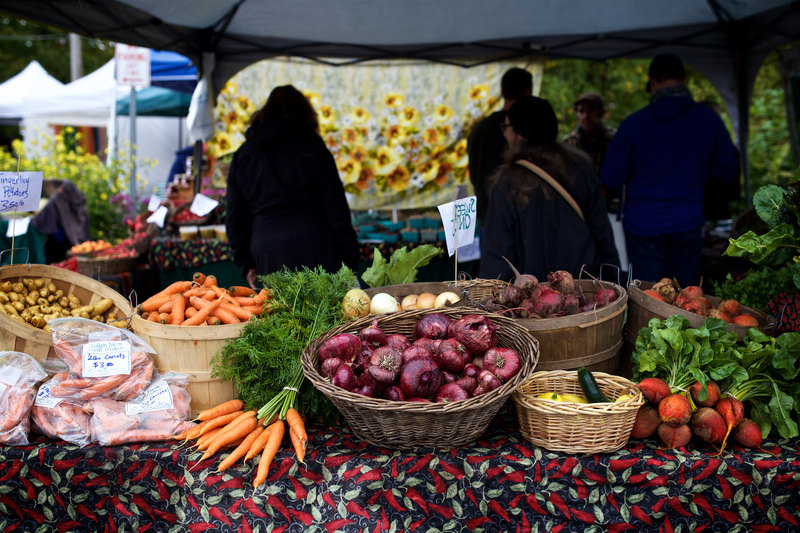 To schedule an OFRR for the 2019 growing season, contact the Produce Program at AGR.FSMA@vermont.gov or (802) 828-2433. How does the FSMA Produce Safety Rule affect your farm? Contact the Vermont Produce Program to receive one-on-one assistance, next steps, and resources.